Big Hairy Audacious Mother Monster & The Future of Nursing Goals. I’ve been thinking about Lady Gaga lately. 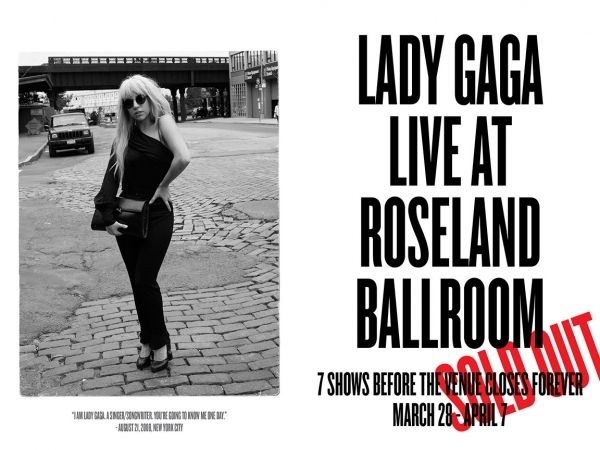 En route to class the other day, I rode past her ad for the Roseland Ballroom shows posted on a construction wall. The quote caught me: “I’m Lady Gaga, a singer/songwriter, you’re going to know me one day.” Said to a random street photographer in 2008, the ad shows the original photo. Damn, that’s prophetic, I thought. Or was it? I brought up the sighting in class, during a discussion on Big Hairy Audacious Goals (BHAGs), a business concept championed by James Collins and Jerry Porras, detailed in their book, Built to Last: Successful Habits of Visionary Companies. The way I understand it, BHAGs are huge, mind-blowing, semi-delusional goals that unify and push organizations towards a very specific finish line. 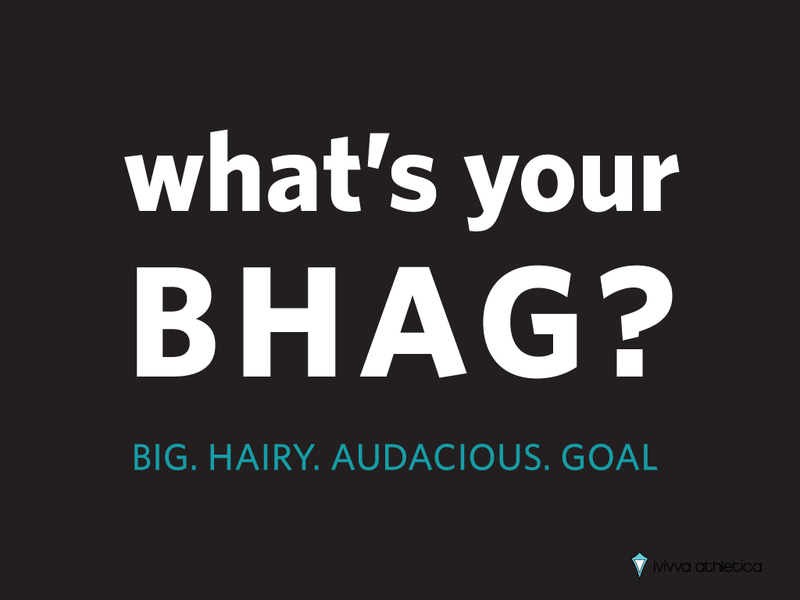 As specified by Collins and Porras, BHAGs are aligned, audacious, articulate and arduous – the harder they are, the more worthy. For example, Twitter’s BHAG: “To be the pulse of the planet.” No explanation necessary. Is Lady Gaga’s quote a BHAG? An especially hairy one, if you ask me. Later in the week, I met with some nursing superstars. These women have literally changed the nursing world with their influence and work; they are the Lady Gaga’s of the profession. In our conversation, where I meekly let out a few peeps of my BHAG, one of them asked me how I saw the Institute of Medicine’s Future of Nursing report used at the bedside. Huh? In seven years as a bedside nurse, I’ve never heard a single colleague mention the publication. I hadn’t learned about it until grad school, and, admittedly, seldom referenced it in life, much less clinical practice. The IOM report is a lengthy, but freely available publication written by a billion health policy experts in 2011 to discuss, as its title suggests, the future of the American nursing profession. In it, the IOM details some really audacious, hairy goals, like, “Nurses should be full partners with physicians and other health professionals, in redesigning health care in the United States,” and more specific goals, like, “Increase the proportion of nurses with a baccalaureate degree to 80 percent by 2020.” My favorite, and one that I consider while shaping my own career focus, says that nurses – all nurses – should be well-read, deeply politically convicted, and maintain the skills to not only evaluate policy, but create it. Bam! That’s a BHAG if I ever saw one. On further reflection, I realized that the IOM report is just one, huge, super hairy BHAG. Its got some pretty audacious and high-reaching, exciting goals. It labels clear finish lines (although, let’s be honest, a nurse’s work is never really done), and aims to get the nursing profession charged up about what we could possibly do. The question posed to me in my nursing discussion was valid, convicting, even: Why aren’t we [nurses, hospitals, legislators] using the IOM report to guide our practice every day?! Gut-level reaction when re-reading the IOM goals: these policy makers must be on crack! These goals will never be reached for nursing, not in this country. But then, I thought about Lady Gaga’s quote and the questions I asked in my BHAG class: Isn’t every BHAG, or desire for fame, or sky-high goal, just a tad bit delusional at its core? I mean, if Lady Gaga had made the same claim in ’08, and remained Stefani Germanotta, that quote would be meaningless delusion, right? My prof’s perfectly driving response? “People tend to achieve what they set for themselves; you miss every basket you don’t take.” In other words, I dare you to try. Well, nurses. Maybe it’s time we start realigning ourselves with the BHAGs set before us. We can begin by asking ourselves some tough questions: Are we trying to change nursing so that we can be better off, or so that our patients will have the care they deserve? Are we reaching for the floor or the sky? Do we want to keep complaining at work, or do we want to fill the media with our well-articulated words and BHAGs? Becoming Lady Gaga was no doubt arduous, as is achieving IOM’s goals. She’ll likely always be a facet of some form of pop culture, but I’m sure her influence will subside in coming years. Nursing has been around for centuries, and our influence can either flourish fantastically, or become stagnant. Let’s be big, hairy, audacious fame monster nurses. Go get your IOM BHAG manual; our future is bright.